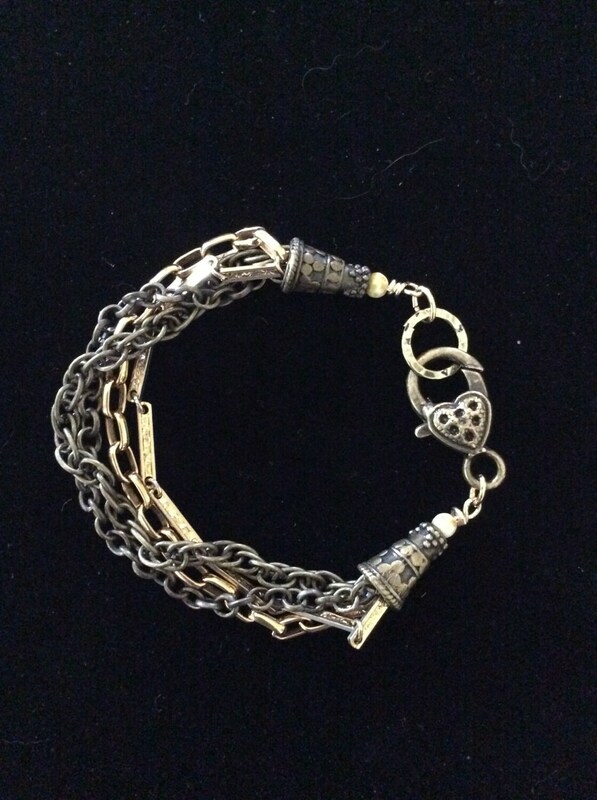 This Bohemian style bracelet is an affordable way for a woman to express her uniqueness to the rest of the world. 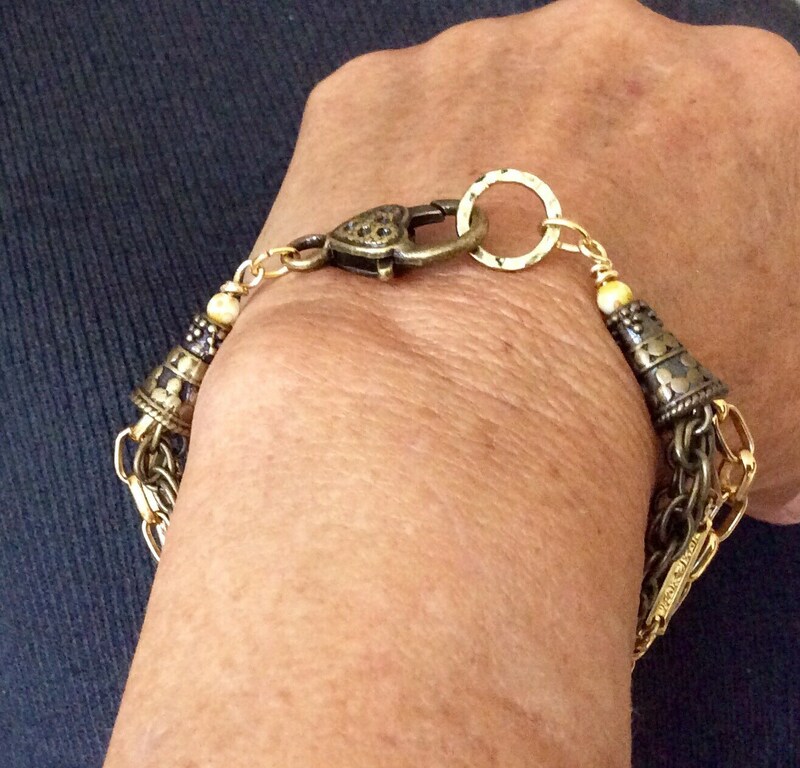 This bracelet is affordable, durable, and created to be special and one of a kind! Made of brass, it mimics antique gold in appearance. Not only can it be worn with casual clothing, it can be wiped down with a polishing cloth and worn with a cocktail dress. It is the ultimate in multifunction jewelry! 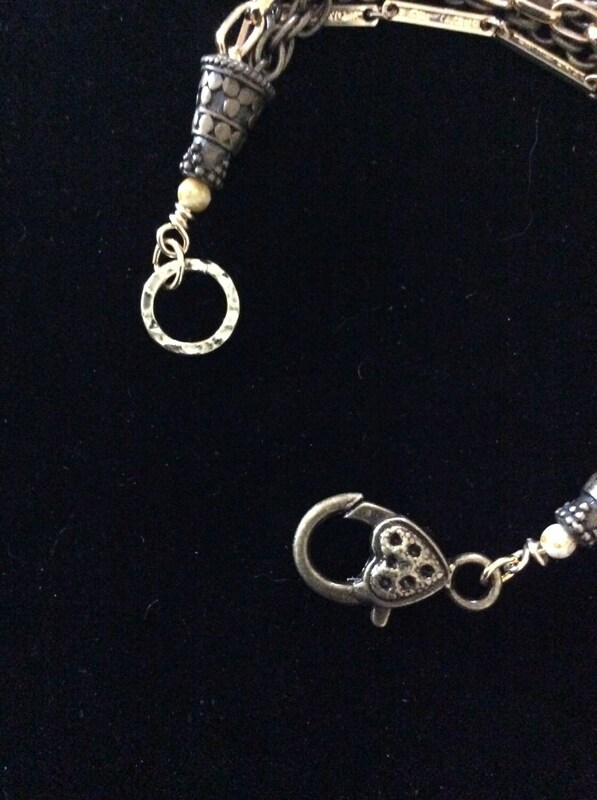 The bracelet measures 7" on the bracelet mandrel. It can be lengthened or shortened upon request. As it is created to be a one of a kind piece, you can rest assured there is not another piece like it! It was designed for the woman wearing many traditional hats; wife, mother, volunteer, employed, who is seeking to express her individuality, her uniqueness. A woman who doesn't want to be swallowed up the world. 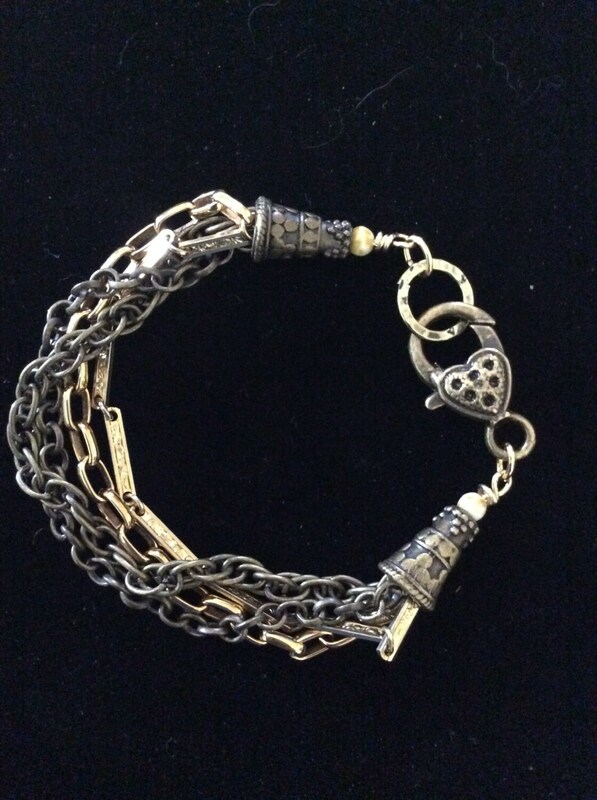 I hope you will claim this bracelet as yours; in the spirit of the person it was created for! Shipping is free in the US. Each item arrives in a beautiful gift box, ready for giving or as a well deserved gift for yourself! If you would like to send this piece to another address, just convo me. I'll be happy to send it with a personalized note from you! Made with love with YOU in mind.